Newcastle Roller Girls’ third official newbie intake gets under way on Thursday March 15th 2012 at All Saints College Sports Centre, West Denton, Newcastle, NE5 2SZ. The sessions will run every Thursday from 19:00-21:00 and will cost £5/session. 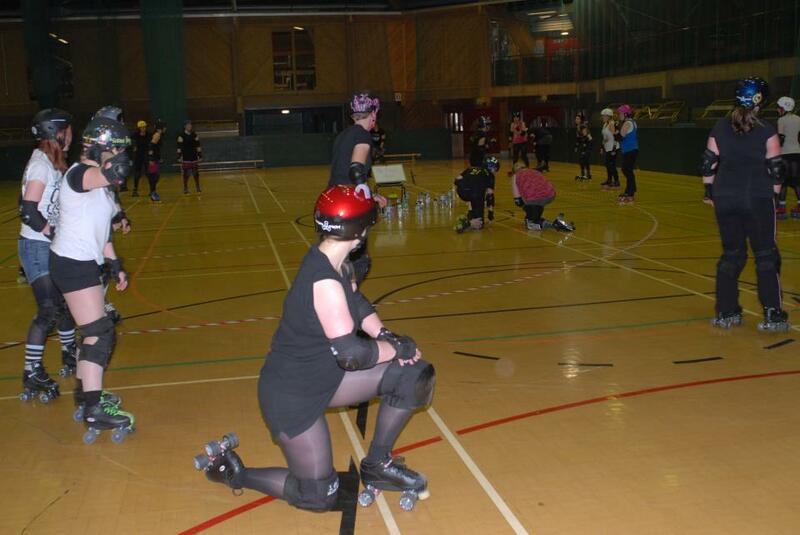 Our new skaters will be put through a specially tailored roller derby training course, at the end of which the participants will have passed the Women’s Flat Track Derby Association’s minimum skills and will be ready to progress to intermediate sessions within the wider Newcastle Roller Girls team. THIS TRAINING COURSE IS FOR PEOPLE WHO CAN ALREADY STAND UP AND MOVE ON SKATES, we will not be teaching how to skate from absolute scratch. You don’t have to be a whizz by any means but if you can’t stand up or move around without holding on to the walls, we recommend heading to the roller discos (details below) and spending quality time on 8 wheels to get you ready for the *next* intake. Week 16 onward: consolidating derby skills in gameplay & becoming ready to bout! Don’t worry if you don’t have any kit, we have stuff you can borrow BUT IT IS EXTREMELY LIMITED, ESPECIALLY SKATES. Where possible please bring your own skates or borrow from your mates. Roller derby requires skaters to wear a helmet, wrist guards, elbow pads, knee pads, a mouth guard/gum shield and quad roller skates. All kit that we do have can be hired on a STRICTLY first-come-first-served basis for £1.50/session. You will be expected to invest on your own kit over the course of the intake – believe us, you will want it! There’s a month until this intake begins, so we recommend checking out the roller discos in the area and skating in the mean time. Any questions that haven’t already been answered here, please leave NRG’s newbie co-ordinator Big Smack & Fries a message on the facebook event.